When they weren’t building vast engineering marvels, or sticking flags in bits of land thousands of miles from Britain’s shores and claiming sovereignty over them, the Victorians loved nothing better than heading to a spa town or mountain retreat to undergo various indignities to benefit their health. 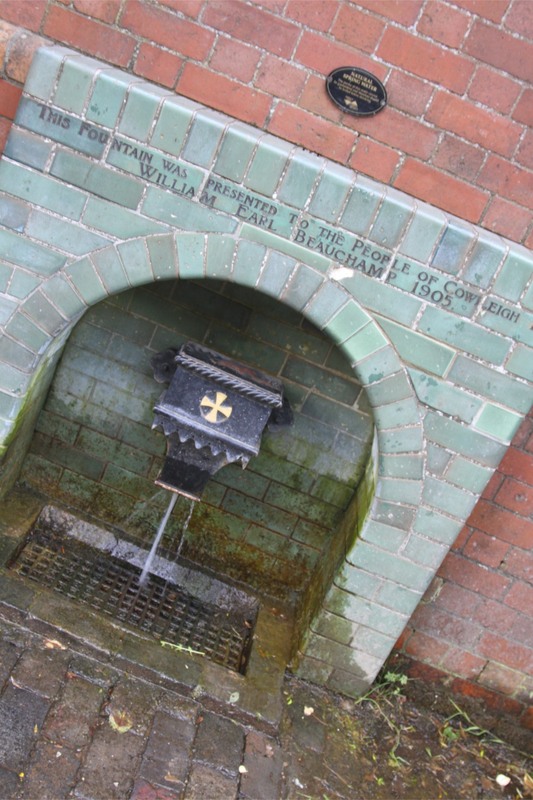 In Malvern, the Victorians fetishised the water springs around the town, and invented a vaguely sadistic form of water torture, known as the ‘Malvern Water Cure’. Two doctors were largely responsible for this health craze: James Manby Gully and James Wilson. Today, they’d be exposed as frauds, but the Victorian-era took this nonsense seriously. 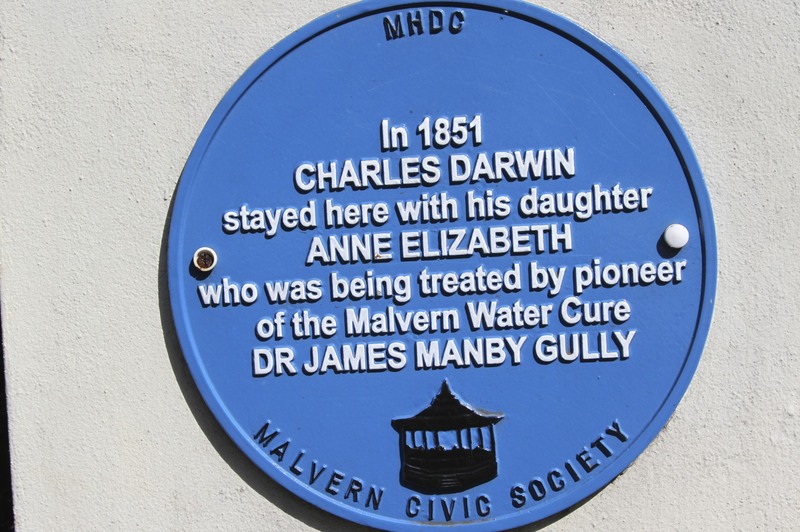 In the nineteenth century, on the back of this craze, Malvern went from village to boom town with grand hotels offering the ‘water cure’. Gully and Wilson both opened ‘clinics’ in the town. For Victorians it wasn’t enough to drink the water, they invented a psuedo-scientific, mumbo jumbo called ‘hydropathy’. In an age of great scientific advances, including in medicine, the popularity of treatments like the ‘Malvern Water Cure’ is at odds with the spirit of the age. 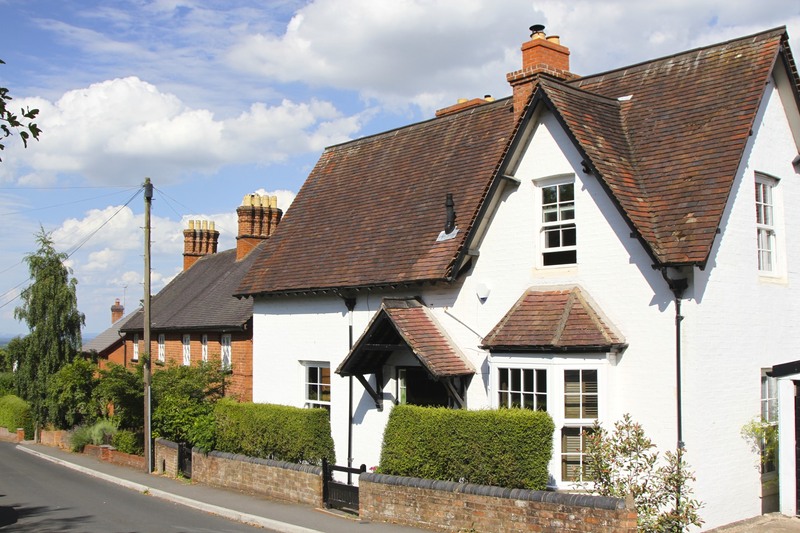 Its not without irony that Sir Charles Hastings, surgeon, founder of the British Medical Association and vocal critic of hydropathy, also lived in Malvern. The voices of doubt were drowned out (no pun intended) by fashion and desperation. Thousands came to ‘take the cure’ at the clinics run by Gully and Wilson, including some of the most famous names of the time: Florence Nightingale, Charles Dickens, William Wilberforce, Thomas Carlyle and Charles Darwin’s daughter, Anne. 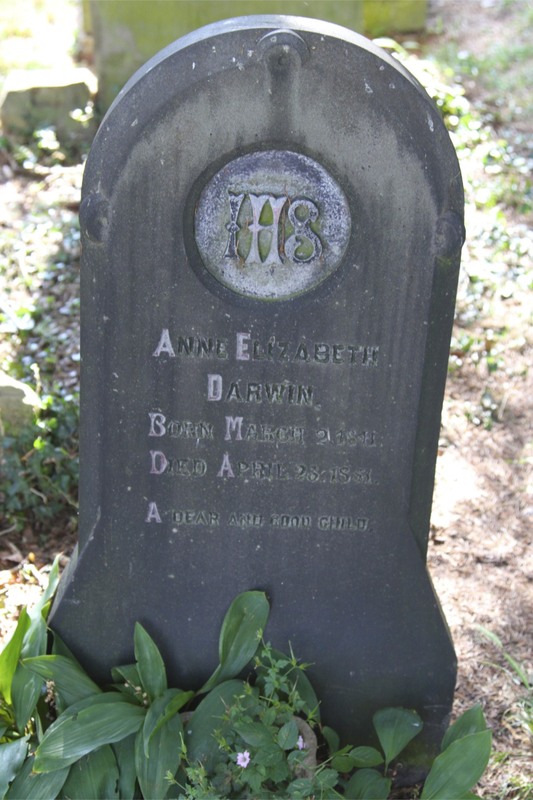 Anne, aged ten, had Scarlet Fever and possibly Tuberculosis. 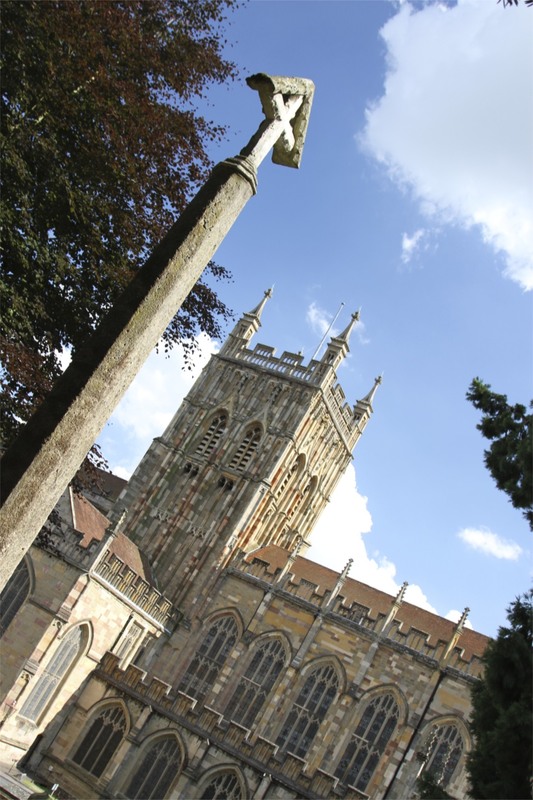 Gully’s treatment offered nothing but false hope: she died in Malvern and is buried at Malvern Priory. 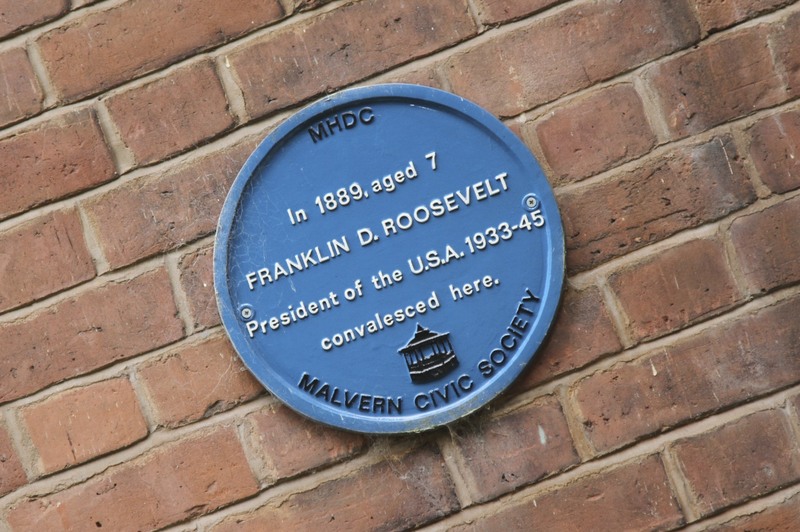 Even Franklin D. Roosevelt, who had polio as a child, came to Malvern in 1889 to convalesce. Although the future President of the United States was only seven years old at the time. 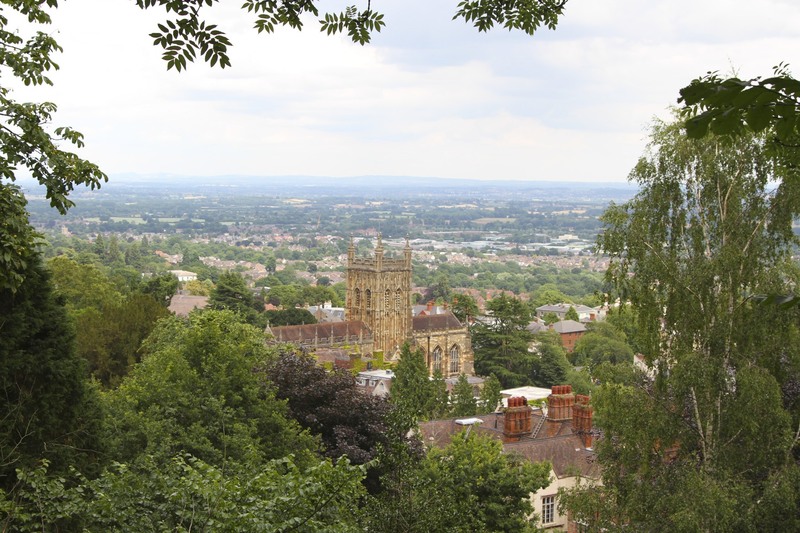 Water literally springs out of the ground in Malvern, thanks to the geology of the Malvern Hills, which form a dramatic, jagged backdrop to the town. Malvern water is exceptionally pure: it contains almost nothing at all, no bacteria, no organic matter and no minerals. It was this purity that gave rise to a belief in the water’s life enhancing qualities. Queen Victoria refused to travel without bottles of the stuff, which no doubt helped with the marketing. 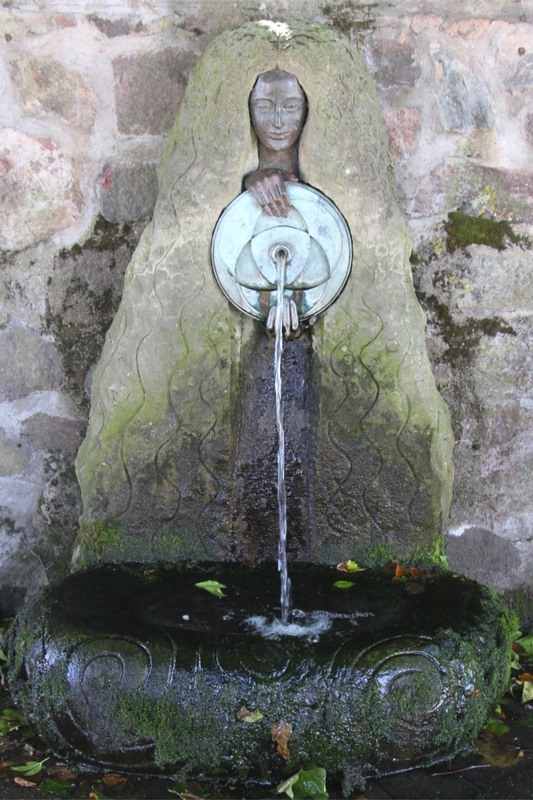 Walk through the town today and you’ll see several natural spring fountains, including the Malvhina spring in the town centre. The springs around the area were well known in Medieval times, and credited with health-giving qualities. 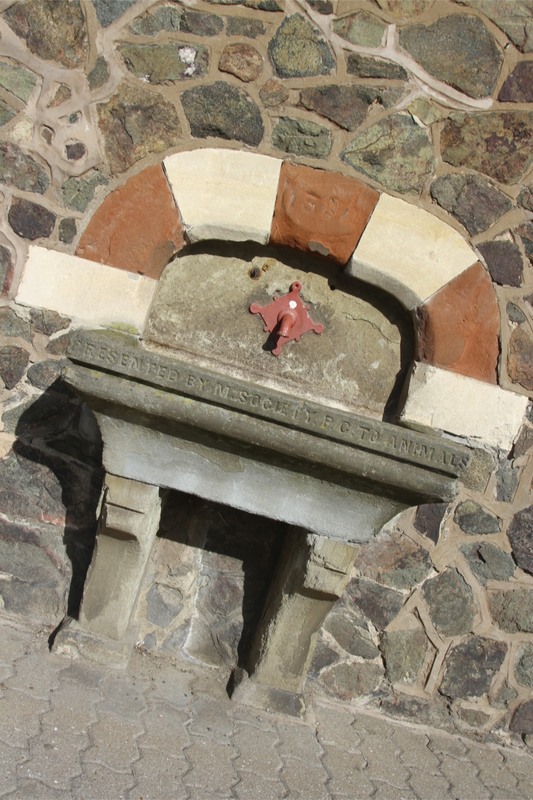 Water was being bottled and sold as early as 1622 at the Holy Well spring, which still produces bottled water today as part of a family business. 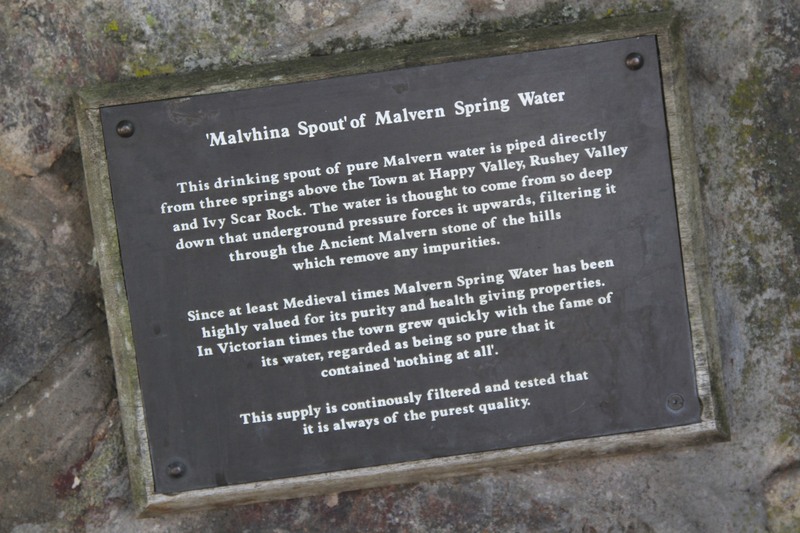 The major commercialisation of Malvern Water came in 1850, when Schweppes moved to town. The brand is now owned by Coca Cola and is the only bottled water Queen Elizabeth II drinks (apparently). 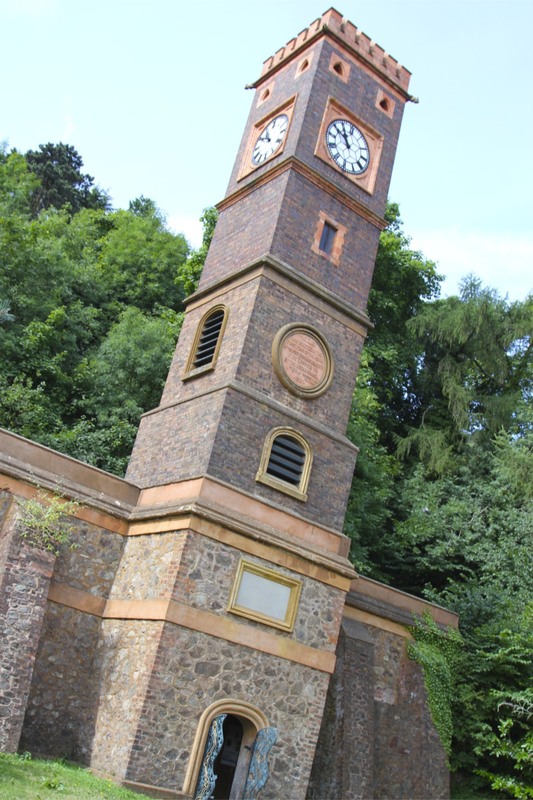 Malvern is still trading on its water resources: instead of taking ‘the cure’, most people come to walk in the Malvern Hills, stroll around the Victorian-era town centre or indulge in a pampering spa experience. 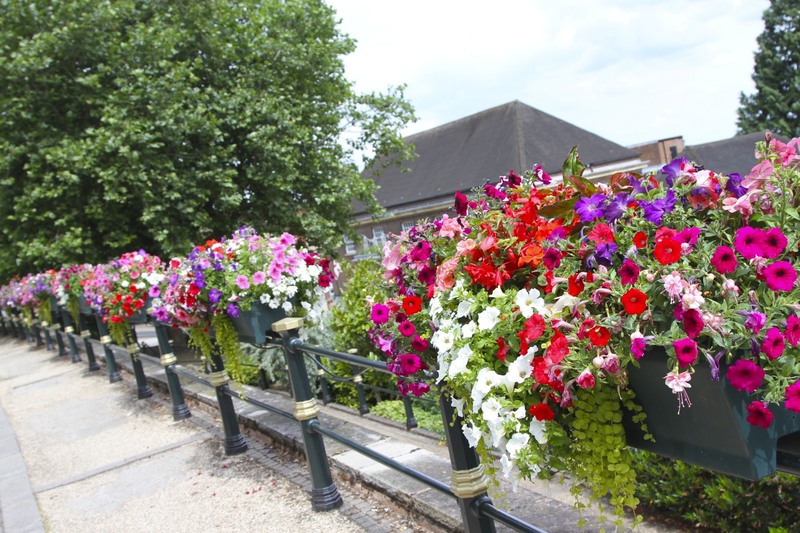 Its a lovely town to spend time in, even though walking around involves constantly going up or down hills. 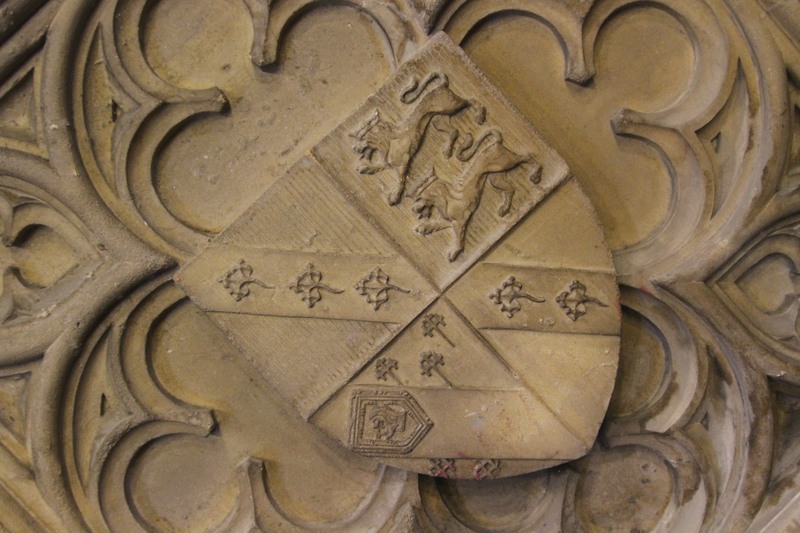 The town is full of beautiful nineteenth century buildings, but its history stretches back to the eleventh century. 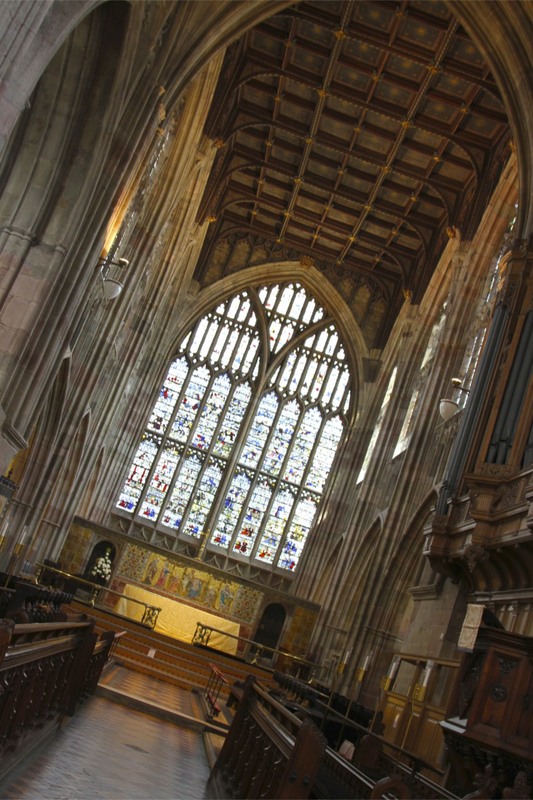 Not much remains from that period, but the splendid Malvern Priory traces its origins back to then. 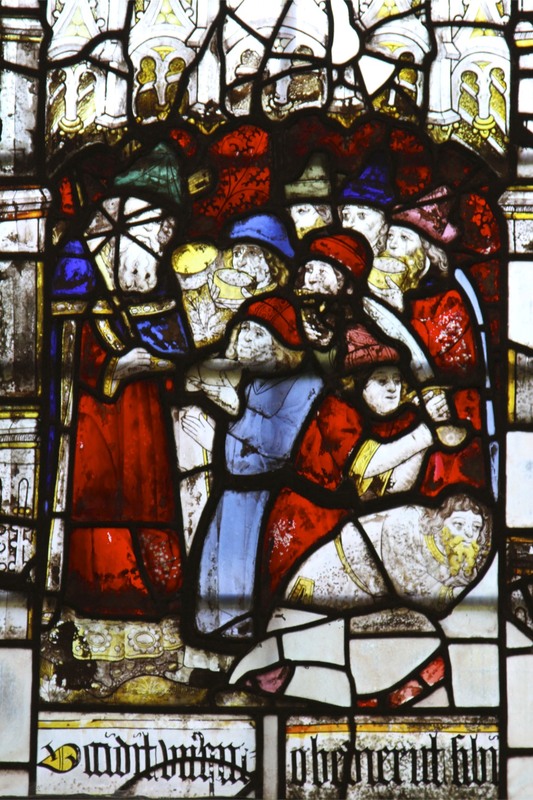 During the reign of Edward the Confessor, Saint Wulfstan, the Bishop of Worcester, gave instruction for a monastery to be built. 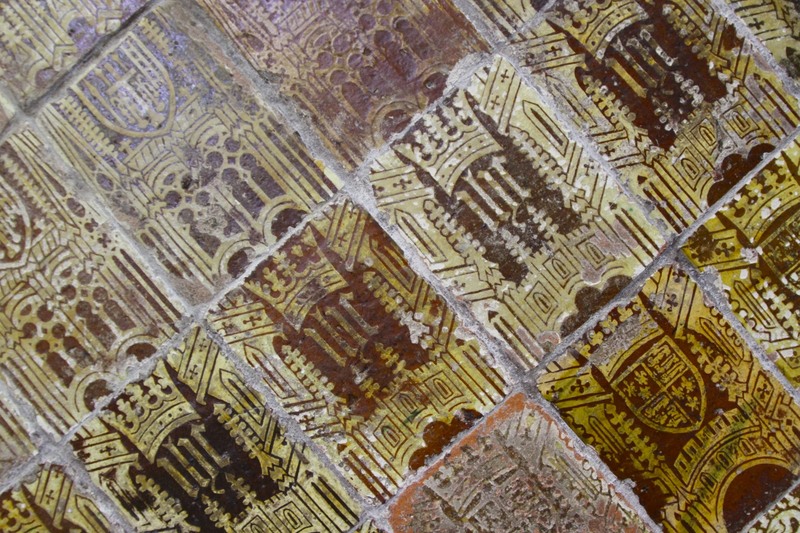 A Benedictine Monastery was founded in 1085. 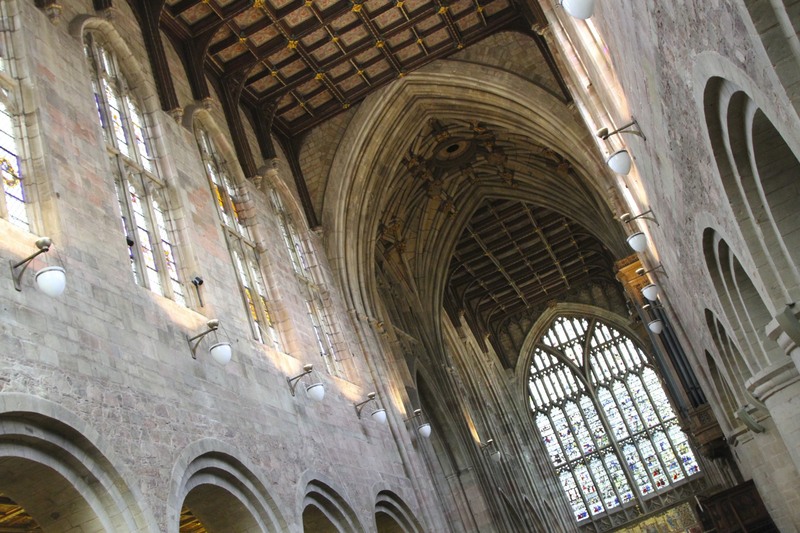 The Priory retains a strong Medieval feeling, including ancient tombs within its walls. 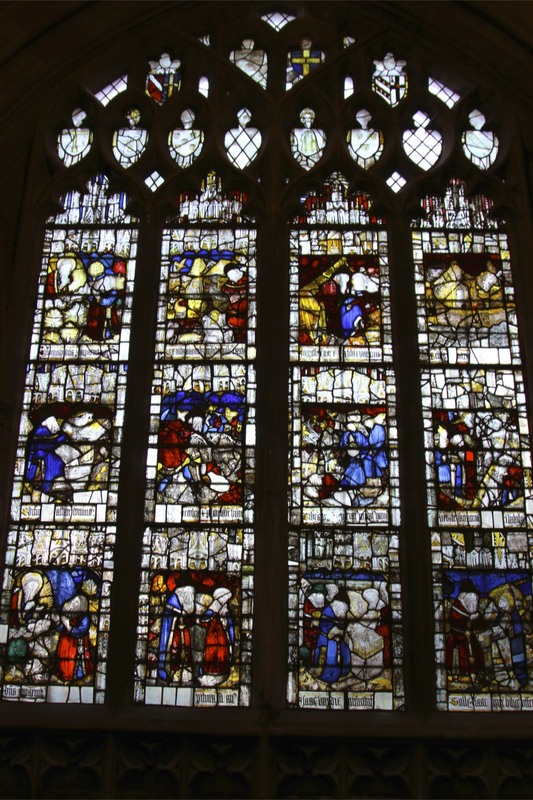 It also contains some of the best preserved fifteenth century Medieval stained glass windows and wall tiles in England. 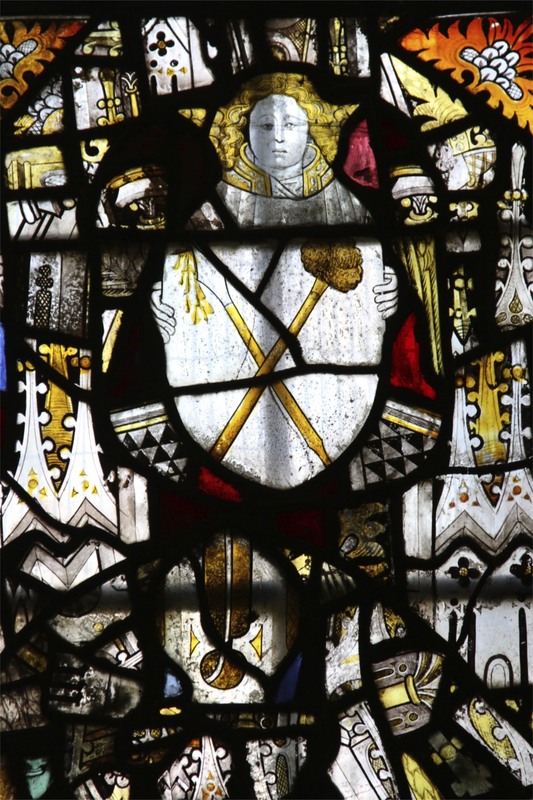 Following the Dissolution of the Monasteries by Henry VIII, the Priory was bought by the town’s citizens for £20 and converted into a Parish Church. A role it still retains today. Your opening paragraph is brilliant with the manner in which it says so much using so few words ! Stunning architecture. 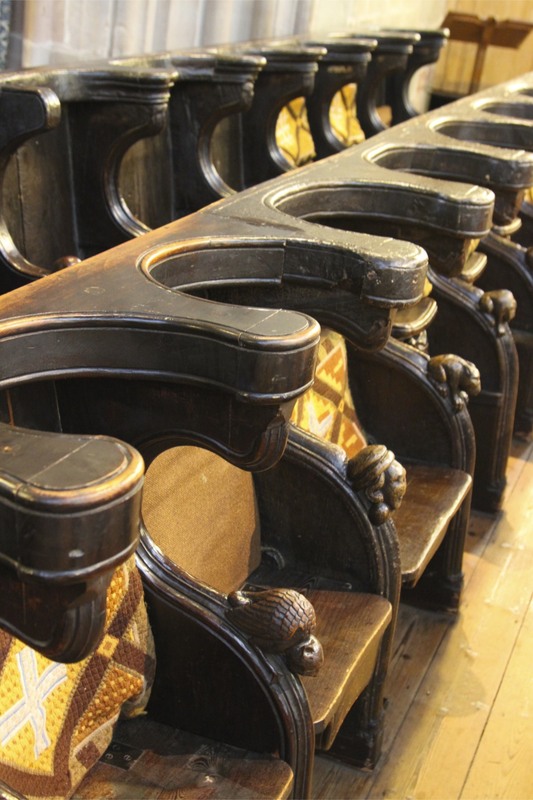 At least the Church was useful in providing means for the craftsmen continue their work. I’m surprised there’s no mention of Worcestershire sauce. Did it originate in another place with a good water supply, or is it possible that the ‘additives’ were used to disguise poor water? Thank you. As someone once said, a lot of truths are often spoken in jest! The church is really beautiful, artistry that has all but vanished these days. I will research the origins of the sauce, but I suspect, like French sauces, it was made to disguise poor quality food. My preferred use for it is in a spicey Bloody Mary. PS. It has rained all day today and the forecast is for more of the same…all good things come to an end.